This scholarship seeks to recognize those who, at an early age, have discovered the rewards of service and provide them with assistance to advance their education beyond high school. Partnering with Big Brothers Big Sisters of McDonough County and The Center for Youth and Family Solutions, McDonough County United Way has created a “comfort bag” program for children who have been displaced due to serious domestic issues. United Way currently runs a Weekend Summer Lunch Program for kids who would typically receive free or reduced lunch during the school year. 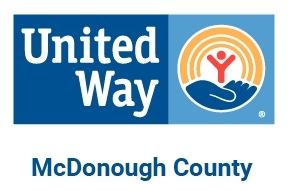 In addition to helping our partner agencies fulfill their missions, McDonough County United Way is dedicated to various community outreach programs to ensure the health, education, and financial stability of our community and all its citizens. © 2017 McDonough County United Way. All Rights Reserved.